Like draaiorgel (Dutch Street Organ). This instrument is very popular in the streets. You can also dance to the music. Most of the time the organ is accompanied by two men carrying little copper boxes to collect money. 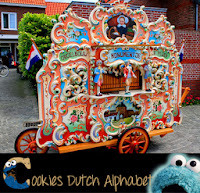 Me also post a little video in blog, so you can listen to the typical sounds of the Dutch Street Organ. 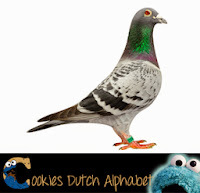 Another thing you see a lot in the streets of the city are duiven (pigeons). They just like to be fed breadcrumbs but they will eat French fries too. Me thinks Bert will love it here too. He could ‘Do the pigeon’ all day long with the pigeons. Draaiorgel music – this movie does not belong to me, but me likes the tune it is playing! The next things me will talk about are very Dutch. 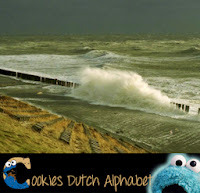 In the Netherlands there is a lot of water: rivers, oceans… you name it, they have it. 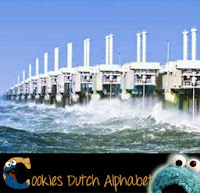 The Dutch had loads of floods and water disasters in their past but they were smart and learned how to tame the water. With dijken (dykes) they captured the water or make sure it cannot flood through the streets. The most famous is a network of dykes called the Deltawerken (Deltaworks) in the province of Zeeland. Also very Dutch is drop (liquorice). It’s black candy and you can get it in very different flavours. Like sweet, salt, extra salt, laurel, honey and even with mint. Not everyone is very fond of drop but me really likes it! 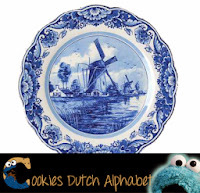 Something everyone likes is Delfts Blauw (Delfts Blue)! This authentic blue colour is used to paint decorations on porcelain plates, bowls, cups, tiles and other accessories. It is very beautiful and is used for old and new designs. 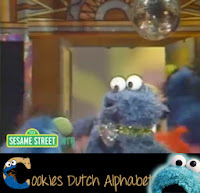 Last but not least me want to share my favorite pasttime that starts with a D! 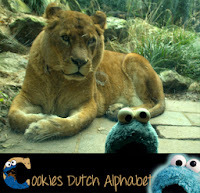 Me loves to visit the Dierentuin (zoo) to visit all the gorgeous animals. 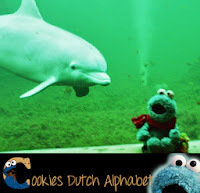 Like the lions and tigers, the elephants and chimps, the penguins and rhinos… and often me goes to the Dolfinarium where the lovely dolfijnen (dolphins) live. Aren’t they cute? Me thinks this one like me too! Me wish me could swim, me would love to cuddle. 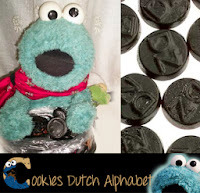 Well that were a lot of Dutch words that start with the letter D! Me hopes you like the alphabet. Tell your friends! And next week me is back with the letter E.